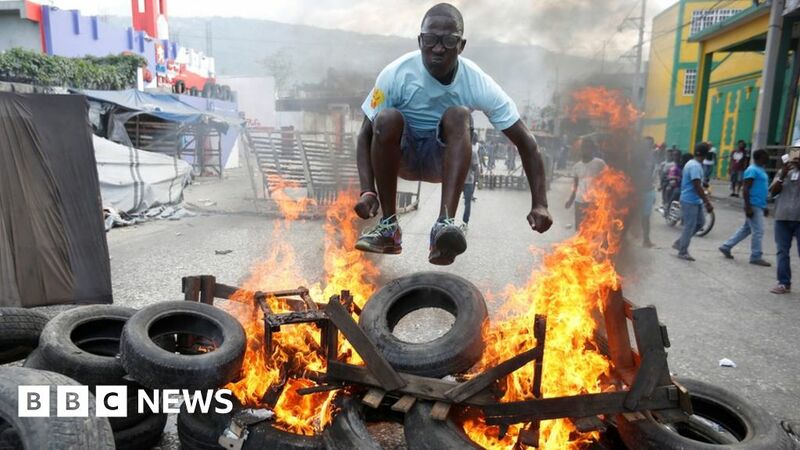 Haitian opposition protesters burned tires and threw stones and urged President Jovenel Moise to resign. 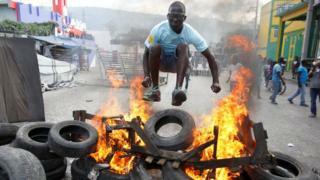 At least four people were killed in protests in the capital, Port-au-Prince and others in four days and dozens injured cities. Many Haitians accuse Mr. Moise and other officials of corruption. Thousands took to the streets this week. The riots forced mayors in several cities to cancel Carnival celebrations due in early March. 1; who has been in power since 2017 – called for talks with the opposition So far in vain. Opposition groups called for protests after a court report alleging that officials and former ministers abused development loans from Venezuela to Haiti after 2008. The report also mentioned the involvement of President Moise in irregularities. Haiti is the Caribbean's poorest country and 60% of its population lives on less than $ 2 a day.